The airport already provides all its 650 directly employed staff in excess of the London Living Wage. The commitment means that around 100 additional staff at the airport working for companies like security services provider, Mitie, and contracted cleaners, GSK Cleaning Service, will, from this summer, receive a minimum hourly wage of £10.55. Going forward the airport will also advocate the London Living Wage to the other on-site businesses and its supply chain – new and existing – creating a Living Wage Forum to do this and factoring it into new contract negotiations. The airport has already ensured that no one working on its campus is on a so-called ‘zero hours’ contract. The roll-out is part of a continued effort by London City Airport, one of Newham’s largest employers, to contribute meaningfully to its local communities. 64% of the airport’s workforce live within five miles of the airport from its location in the heart of London’s Royal Docks. Substantial progress has been made across London, most recently with the City of London Corporation campaigning to encourage more financial and professional services to sign up. In the airport’s home borough of Newham there are  companies out of more than 1,000 businesses accredited as London Living Wage employers. The Mayor of Newham wrote to businesses in December 2018 to encourage more employers to pay the London Living Wage. “These commitments by London City Airport to the London Living Wage offer clear substance to our values as a business, to be more inclusive and serve the communities that surround us. “We believe that everyone should be entitled to a sustainable and decent living and it’s an important issue not just for the staff that will benefit but right across our campus. We’re grateful in particular to Newham Citizens and St Antony's R C Primary School in Newham who articulated the importance of it for young jobseekers and the future generation of our workforce. There are over 5,000 Living Wage employers in the UK, and it is the only wage rate based on what people need to live, calculated using the cost of a basket of household goods and services, with an additional London weighting. London City Airport is grateful to Heathrow Airport, which has itself set out a roadmap to ensure its direct and existing suppliers also guarantee employees the Living Wage by the end of 2020, for their assistance and insight during our London Living Wage accreditation process. In addition to the Living Wage accreditation, the airport is taking forward its new “Inclusive London” Corporate Responsibility agenda and shortly will launch its £75,000 London City Airport Community Fund, which will enable eligible local charitable organisations and groups to apply for grants ranging from £500-£3,000. The airport is also supporting an inclusive workforce and helping to foster future skills through its 'Women in Aviation’ programme. The educational project with 300 East London female school pupils promotes careers in aviation and furthering skills in Science, Technology, Engineering and Maths (STEM) to get there. It concludes on 1st April at a special finale at the Sunborn London Yacht Hotel in Royal Victoria Dock. 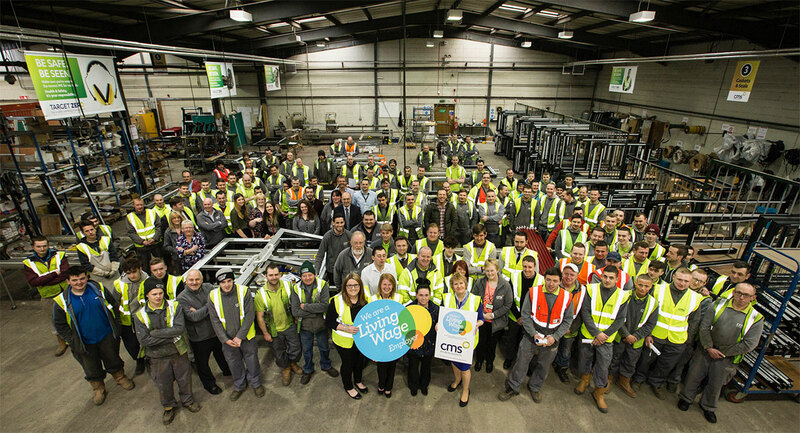 Join over 5000 others including City Airport and become a Living Wage Employer today!